Why start a new blog after 4 years of blogging? Well, first off, I have never been completely at peace with my title Spoonful, and I have always!!! wanted a title more representative of what the blog is about. When I thought of the title, Somehow We Manage, it clicked immediately for me. My inspiration comes from one of my favorite TV characters, Michael Scott of The Office. For those of you unfamiliar with the show, Michael is the goofy boss/manager of a paper company, and he claims to be writing a book, Somehow I Manage. Hilarious. Well, at least it is to me. Somehow We Manage...the home, having three kids, to get dinner on the table, the finances, everyday life. Another reason for starting fresh is I want to take blogging less seriously and more seriously at the same time. As my readership grew with Spoonful, I became overwhelmed with the amount of time blogging took - the correspondence, the self imposed pressure to write well, and the constant struggle of how much is too much to share. Starting over and defining what kind of content I want to write and honing in on what I want blogging to be for me is just the liberation I need to enjoy this hobby again. I want to be transparent, but just because I have a bad day or if I happen to be in a hard season of life, I don't want to feel I have to process it through blogging. In starting Somehow We Manage I'm giving myself permission to indulge in blogging fun without letting it all hang out. What I mean by taking blogging more seriously is giving it the credit it deserves and acknowledging that blogging is something I love to do, it's worthy of my time, and it's okay for me to make room in my life for it as long as my ducks are in a row elsewhere. 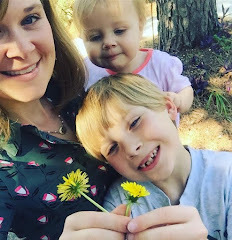 Here you will find pretty pictures, a little humor, a lot of my thoughts on running a home and raising my children, recipes and food ideas, some talk of personal finance....and more. I'll read and comment - of course - on anything you write. And I think you are a brilliant writer. I want a copy of those books that your make from your old blogs. They are too good to let go. I'm ecstatic. SO glad you haven't given up your musing. And I agree with Lewis; it's so fun relishing in the mundane with others! Thanks, Margo. That's a huge compliment coming from you. I'm excited about this! Go, girl.